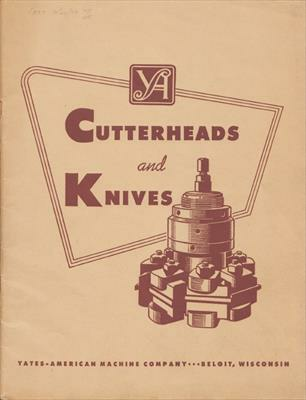 Publication Title: YA Cutterheads and Knives Pub. date est. based on: p. 2 -"Since 1883" & p. 6-in business "over 65 years" & pencil on cover: "CARD 12/20/49 YA WK"